Since the closure of Matter in 2010, the massive room inside the 02 arena has soldiered on, albeit down a shaky path. Proud 2, the scaled up sister venue to Camden’s arty haunt, took the baton in 2011, but, despite providing a platform for the likes of Secretsundaze and Circoloco and a £1m refurbishment, it too struggled with its location tucked away on the elbow of the Jubilee line, the other side of the Greenwich peninsula, miles apart from any other credible form of nightlife. This summer, the reins passed over to London Warehouse Events (LWE), who re-opened the 3000-capacity space as a ‘blank canvas’ venue Building Six, and have since set about putting this club with so much potential back on the map. Kicking off with Mistajam’s Speakerbox event last month, few club brands have as much gusto to breathe life into a London-based dance music project as Sven Väth’s Cocoon. 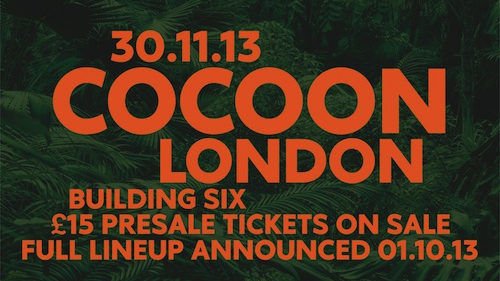 Featuring the man himself alongside Joris Voorn, Mathew Jonson (live) and Andre Galluzzi, Cocoon London will offer another chance to see a selection of the most heavyweight names associated with the Frankfurt label in the capital. But while these nomadic events have in the past naturally migrated to the abandoned railway arches of the city — Great Suffolk St or Ewer St — this month it’ll be set within a humungous space armed to the teeth with a state-of-the-art soundsystem. And, with barely any neighbours nearby to moan, clubbers will be able to hear the crystal clear crunch of each and every snare without having to barge their way to the front of a speaker stack. Adding to that, the toilets work, they’ll be multiple places to sit down and cotch, and you are far less likely to need to go out and buy a new pair of trainers after all is said and done — there’ll even be a blingin’ great chandelier hanging from the ceiling. It’s going to be a very big gig, and done properly. 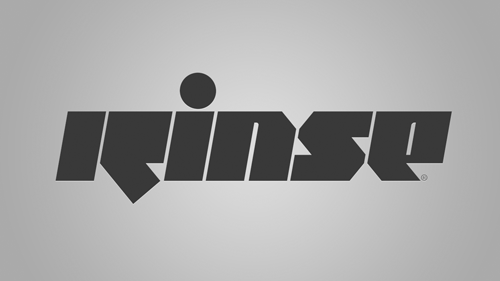 Rinse FM has come a long way since setting up as a pirate radio station in 2004. Not only was it granted a community FM license in 2010, it's continued to realign its music policy with the movements of UK dance music, fully embracing the '90s house resurgence within its bass-driven philosophy. It's also spread beyond London; the brand getting picked up by promoters across the UK's major cities looking to inject some rudeness into their respective club scenes. This month, the rambunctious radio station has been roped in by resident Rainbow party 2:31, a night that's already welcomed the likes of Disclosure, SBTRKT and Skream to Birmingham's multi-club mega venue during its short lifetime. Huxley, Shadow Child, XXXY, Leftwing & Kody, Foamo and Sophie make the cut alongside Rinse regular Tom Shorterz on Saturday 23rd November. London's epic season of roaming events, The Hydra, continues this month after bringing Move D, Kassem Mosse (live), Prosumer, Derrick May, Space Dimension Controller (live) and Michael Mayer, among others, on consecutive weekends to various venues, including Studio Spaces, Village Underground and Fire, in October. 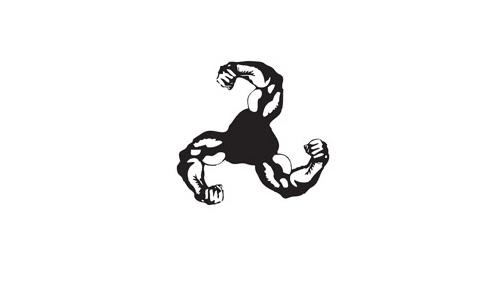 Carved out as probably the capital's most colossal underground super-promoter, especially in light of Eastern Electrics' recent descent into administration, this month they've beckoned cultish blog-slash-label-slash-party Feel My Bicep to a set of studios in Wapping. Joining the brand's originators, Aus Music/Delicacies contributors Bicep, will be Marcus Intalex's alternative tunnel techno personality Trevino alongside Sweden's retro technology savvy house duo Genius of Time, who'll play a live set. Is there anything Motek London isn't willing to try? Starting out as a snug, pint-sized party in the back room of Cafe 1001, this massively popular promoter of muddy deep house and techno nights has grown big enough to fill Hoxton Basement, thrown two roof-top parties and launched a label — soon to drop a fine EP from Toil & Trouble, featuring Paul Hargreaves, one half of Death on the Balcony — all over the past 12 months. 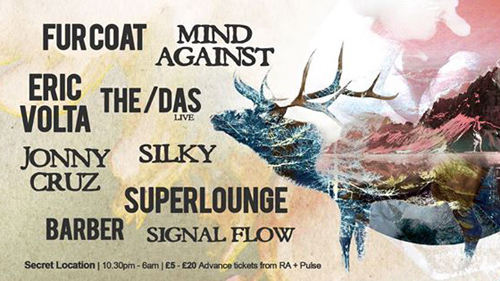 This month, Motek prepares to set yet another precedent, its first-ever full-blown warehouse party at a secret London location, and its biggest line-up to date, showcasing nine premium DJ names: Fur Coat, Mind Against, Eric Volta, The/Das, Jonny Cruz, Silky, Superlounge, Barber and Signal Flow. It's often the case with artists these days. They blow up off the back of one track, enjoy the flood of riches that comes with it — money from DJ gigs and a handful of releases re-hashing the original formula — before disappearing completely. Not Tale of Us. Despite exploding off the back of their remix of Thugfucker in 2010, they've continued to perfect their sound, releasing a head-skewing bomb in 'Another Earth' on M_nus earlier this year, while further releases on Life & Death and Visionquest have kept them in the foreground of DJs and clubbers' minds with an ear for darker, more gothic house and techno tones. 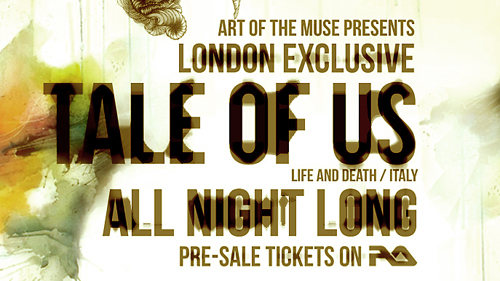 It's a short legacy, indeed, but meaningful enough for them to steal a headline slot for The Art of Muse this month, where they'll play all night at Oval Space.